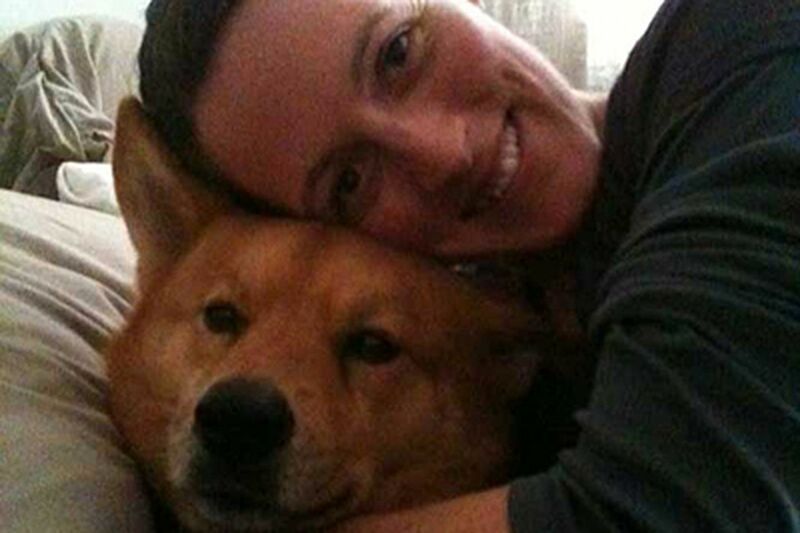 Red Paw founder Jennifer Leara with Coda, an 8-year-old Chow/Shibu Ino mix she rescued. BALANCING THE city's Irene-related minuses - flooding, power outages, structural damage - there are a couple of animal-related "firsts." When Mayor Nutter urged people to head for city shelters if they needed to, he strongly invited them to bring their pets, reflecting a big change in the minds of emergency service planners in the past decade. During Hurricane Katrina in 2005, emergency services did not make accommodation for pets, which meant thousands died, and hundreds of owners put themselves at risk - some perished - when they refused to abandon their pets to the storm. Rethinking animal-related response to emergencies started earlier in Pennsylvania, after killer Hurricane Floyd caused massive damage in 1999. That's when CART - County Animal Response Team - was created statewide. Although Philadelphia was part of CART, it was activated for the first time when Irene bore down on us. CART is supervised by the city's Office of Emergency Management, but is staffed by volunteers. The coordinator between CART and the city is Jennifer Leary, 32, an animal lover who is also a city firefighter whose CART role is separate from her city job, says Brian Abernathy, chief of staff in the office of the managing director. All Leary's emails close with an automated homily: "Be the change you wish to see in the world" - Gandhi. She is the founder of the new Red Paw Emergency Relief Team, the first animal-rescue group to partner with the Red Cross. Red Paw provides the same services for pets - food, shelter, medical attention - that Red Cross provides for humans. It may mean getting an injured dog to a vet or finding a temporary foster home for a cat. Over the years, as both a firefighter and a long-time Red Cross volunteer, Leary saw animals in medical distress, or with no place to go because Red Cross had no way to care for them. That put their owners in distress. "People had already lost their homes," the model-thin Leary told me over coffee, "and now they were going to lose the most important thing in their life." This was heartbreaking for Leary, who shares her home with four cats and two dogs. But what could she, a single individual, do about it? She pondered this for a few years and formed a plan that she brought to the Red Cross of Southeastern Pennsylvania. "What she brought to the table was a huge level of credibility," says Red Cross CEO Judge Renee Hughes. "She could document the problems." Thus was born the first-of-its-kind partnership between Red Cross and Red Paw. "If there are animals in jeopardy, we call Red Paw and get instantaneous response," says Hughes. For Irene preparation, Leary was contacted by the city in her role as CART coordinator. She first contacted her CART volunteers, then her Red Paw volunteers, about 60 responders she can count on. If the emergency involves 50 or more animals, CART gets the call. Fewer than 50 animals are handled by the Animal Care and Control Team, a division of the Philadelphia SPCA. Red Paw responds to everything. During Irene, which thankfully turned out to be minor, a total of four dogs, three cats and two turtles were brought to the city's three shelters. Next time, who knows? But Red Paw stands ready. All because Leary, a single individual, heeded Gandhi and became the change she wished to see.